It's a New Year, yet gender equality is still a central topic of conversation for businesses and people across the world. Why? Because despite heightened awareness, we are still far from reaching parity between men and women, both in the workplace and in the wider community. In recent years, gender equality has received much more press in New Zealand, and many organisations are making significant efforts to create equal opportunity in their workplaces. But how do we compare to the rest of the world? There are several different ways people measure gender equality. We're going to use the World Economic Forum's annual Global Gender Gap Report, which ranks 149 countries on a range of factors including economic power, education, political participation and health. In the 2018 report, New Zealand ranked 7th. First was Iceland, which has closed over 85 per cent of its overall gap, followed by the Scandinavian countries and Nicaragua, Rwanda and Namibia. The United Kingdom came 15th, Australia 39th and the United States 51st. New Zealand is therefore well above many other western countries in its gender equality efforts, although still clearly has a long way to go. The fact that no country is close to 100 per cent equality is significant. That's overall gender equality, but what about how New Zealand is doing specifically in the workplace? The pace of progress on #genderequality around the world remains slow despite advances in some countries, according to the 2019 edition of the Social Institutions and Gender Index (#SIGI). Each year, women's equality charity Equileap compiles a report that ranks global companies on the roles and opportunities they offer women. In 2018 there were two New Zealand companies to make the Top 200 – Meridian Energy and Mercury NZ, ranking 86th and 174th respectively. Australia, on the other hand, had 30 companies, with 36 per cent of its eligible companies achieving a Top 200 Ranking.This is largely due to new legislation which has improved transparency and caused many companies to address their gender balance, showing the impact that government legislation has on parity. New Zealand has improved on last year, but not to the same extent, and still has work to do if it is to compete with the likes of Australia and Norway (which came first). What about the gender pay gap? One area that Equileap highlighted was the global gender pay gap, particularly the need for gender pay gap reporting. In 2017, the UK became the first country to introduce mandatory pay equality reporting for all organisations with over 250 employees. But in many countries, Equileap found that organisations often make claims of pay parity and closing the gap, yet don't back this up with data. In its study of the gender pay gap, two New Zealand companies were found to have no overall gender pay gap (Air New Zealand and Meridian Energy). Just over 40 per cent of the companies showing no overall gender pay gap are located in the UK, highlighting the positive impact of gender equality legislation on workplace practices. 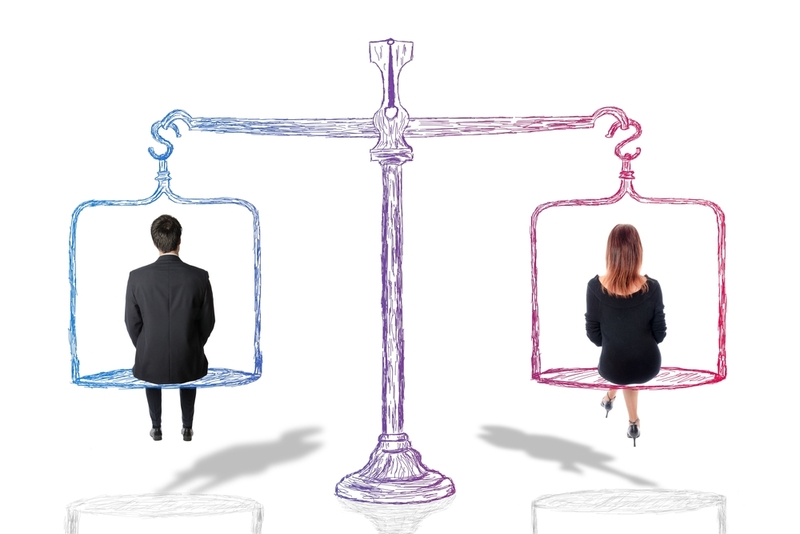 The gender pay gap in New Zealand stands at 9.2 per cent (StatsNZ). In 2018, JacksonStone & Partners carried out our own research into the gender pay gap in New Zealand. We reviewed data from candidates who had interviewed with us for roles in the six months leading up to the survey, comparing current salaries between men and women at different levels of seniority. We also compared the desired salaries men and women included in their applications with us. All information was kept anonymous. Female candidates sought an average salary increase of $15,267. Male candidates sought an average salary increase of $21,227. The average current salary of men was also higher – standing at $147,561 compared to $134,036. So, even though we have come a long way in addressing the gender pay gap, there are still many things New Zealand organisations can do better. If women start on a lower salary, their expected salary for a new role will often be lower as a knock on effect, so one easy thing employers can do is to forego the expected salary question on job applications. Likewise the emphasis in the Equileap report on pay gap reporting shows the importance of transparency. Organisations that regularly publish information on their gender parity efforts, and what they're going to do moving forward are often the ones that manage to promote equality. Our final category is work-life balance. Families are particularly affected by this factor because in many countries the balance of child care isn't equal. This means a woman may get home from the office but still have the job of looking after her family. In New Zealand, there is a 1.01 point difference in the amount of time spent on leisure compared to work between men and women, ranking us fifth among 38 OECD countries. Slovenia came 38th, but even there the difference was just 1.08, showing that in OECD member countries at least, the work-life balance has become much more equal. At JacksonStone & Partners, we care deeply about equality in the workplace, and have measures in place to make sure our recruitment processes are as free from unconscious bias as possible. If you're in need of executive recruitment and search services, reach out to the team today.